Baltimore Cathechism Set. Since its 1885 debut, the Catechism commissioned by the Third Council of Bishops in Baltimore has instructed generations of Catholic faithful. With an easy to read question and answer format, the Catechism combines solid Catholic doctrinal teaching with meaningful exposure to Scripture and practical application. 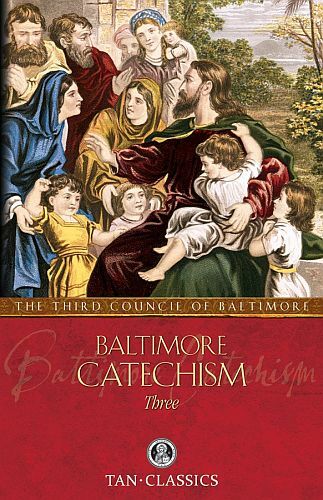 These are the original TAN editions of the Baltimore Catechism, with updated typesetting, fresh new covers, larger format, quality bindings and the same trusted content.